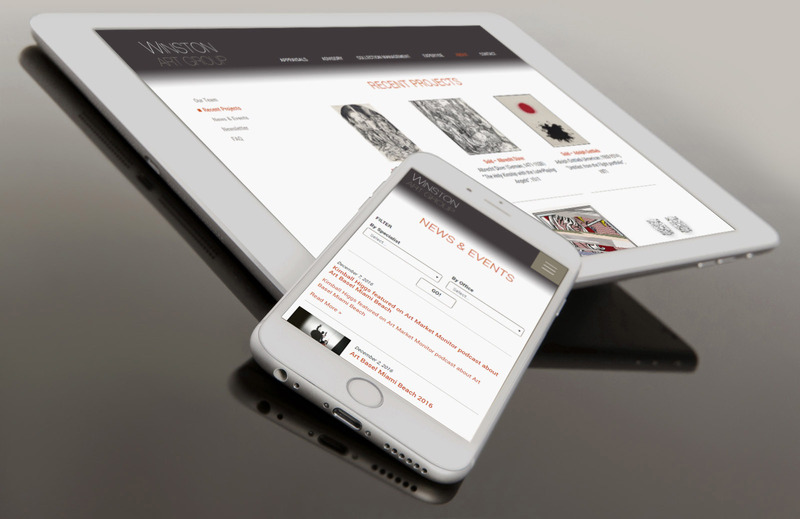 Winston Art Group was referred to Andigo when the underlying technology platform for their website needed attention. The CMS they had was not meeting their administrative needs and the site was not mobile friendly. The marketing team had already been thinking about whether the site could be more effective and with recommendations from Andigo, the project went from being an incremental improvement behind the scenes to an update that focused not on the technology (which was still improved greatly) but on message and marketing. The stronger, cleaner, more modern design reflects the tastes and sophistication of their audience. Improved navigation allows visitors to make sense of WAG’s impressive breadth of expertise much more quickly. With an easier-to-use dashboard, the site is also much less of an administrative burden, meaning content is updated more frequently with less hassle – further enhancing the site’s improved marketing performance. Strong analytics tools will pave the way for continued improvements over time.